15 SUCCESSFUL YEARS IN OFFICE DESIGN & REFIT! Office Changes is very proud to have just celebrated 15 happy years designing, refurbishing and relocating business offices and workplaces! 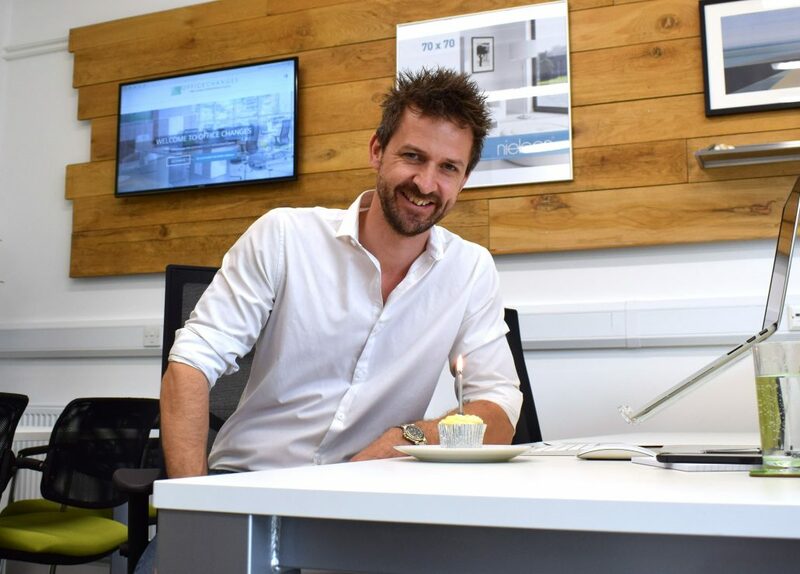 With a burning desire to problem solve, go the extra mile to exceed a client’s expectations and to apply a client for life ethos, Office Changes has established itself as a reputable office fitter, with both passion and vigour. Thrilled with our successes to date we mark our 15th birthday with a fresh and exciting rebrand, plus the relocation of our own company offices and the opening of our showcase offices at Studio 8 in the prestigious Basepoint building in Haywards Heath, West Sussex. We understand each and every business is different, operating within different physical and budgetary constraints. There is an ever-increasing pressure on businesses, large and small, to be more eco-friendly. A pressure that will only intensify over time. We are looking to support businesses with this issue like never before with options that will not only help make for a greener workplace and reduce your carbon footprint, but that will reduce your running costs as well. Looking ahead to the next 15 years we gratefully acknowledge all our wonderful clients, staff and suppliers, and want to thank you all for your continued support and enthusiasm. https://www.officechanges.com/wp-content/uploads/2016/05/Office-Changes-Rebrand-1.jpg 2632 3667 Marrek Fletcher https://www.officechanges.com/wp-content/uploads/2017/10/O.C-Logo-1030x124.jpg Marrek Fletcher2016-05-22 19:29:562019-04-05 16:20:4815 SUCCESSFUL YEARS IN OFFICE DESIGN & REFIT!